Published by Harvill Secker (The Random House Group) on 26th January 2012. The new book jackets for Stuart Neville’s books (a broken doll for ‘The Twelve’, a broken lightbulb for “Collusion’ and a broken mirror for this, his third novel, ‘Stolen Souls’) describe perfectly their contents – crime that deals with broken dreams and shattered lives. Since blazing onto the crime fiction scene in 2009 with ‘The Ghosts of Belfast/The Twelve’ and gaining high praise from all that read it, including the great James Ellroy who stated ‘It’ll knock you sideways. 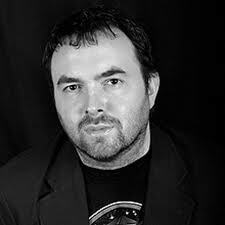 This guy can write’, each of his novels is widely anticipated by fans and his fellow crime writers alike. Neville’s novels crack along without a word wrongly placed or overwritten, they are parred down, fast page burning reads with a deep characterisation throughout, particularly with his central character of detective Jack Lennon. This time round the subject matter is that of people trafficking and deals primarily with the story of Galya, a young Lithuanian girl who is brought to Belfast to be put to work as a prostitute. In a fight for her life, Galya has taken the life of another, a gang member, and this places her clearly in the targets of many who seek to find and kill her. Jack Lennon is hoping for a quiet Christmas to spend some time with his daughter, but with an imploding gang war taking lives all around him and growing suspicions that a man of the cloth who has offered refuge and safety to a ‘stolen soul’ might not be as he first appears, Christmas-time seems likely to be anything but quiet. Any novel that begs from the bedside for me to get up in the middle of the night and sit and read its last two hundred pages until finishing at 3am can, quite frankly, not be short of excellent. All thriller, at times high drama and in many places almost gothic horror in its themes and settings, bases are very much covered here and extremely well. 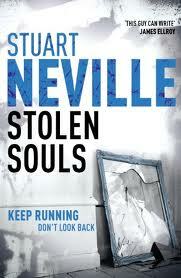 Three novels in and it feels like Stuart Neville is still very much the one to watch – highly recommended.